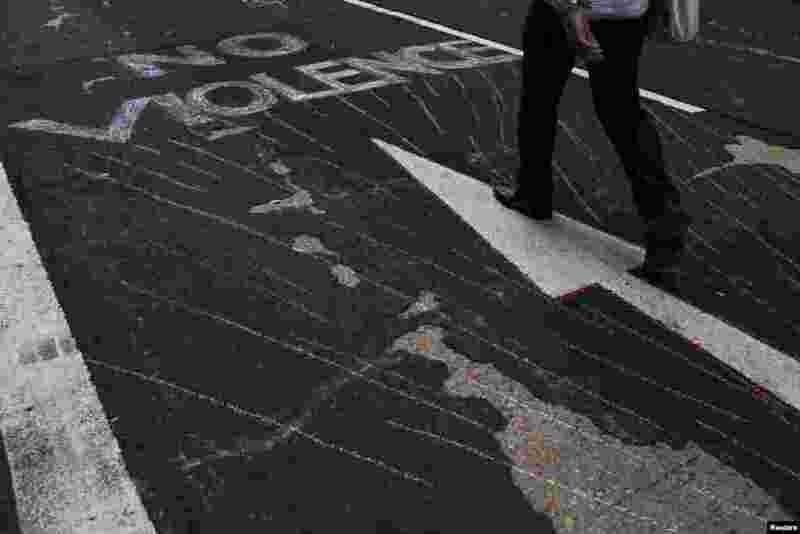 1 A protester passes a slogan reading 'No Violence' at a main street at Mongkok shopping district, which was occupied by protesters, in Hong Kong, Sept. 30, 2014. 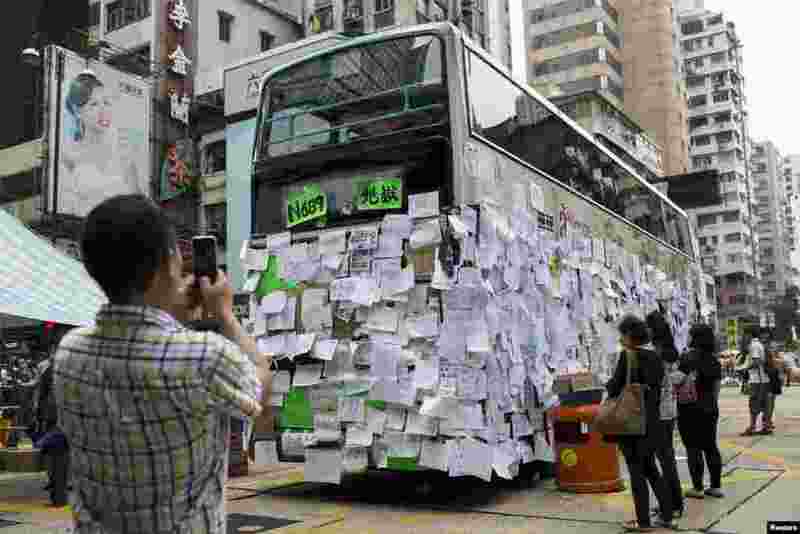 2 A man takes picture of a bus covered with messages of support at Mongkok shopping district after thousand of protesters blocked the road in Hong Kong, Sept. 30, 2014. 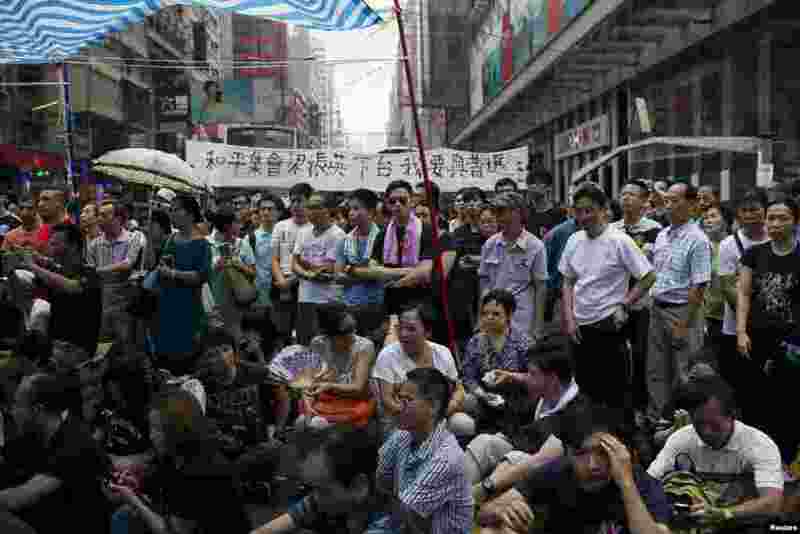 3 Protesters attend a rally at a main street at Mongkok shopping district in Hong Kong, Sept. 30,2014. 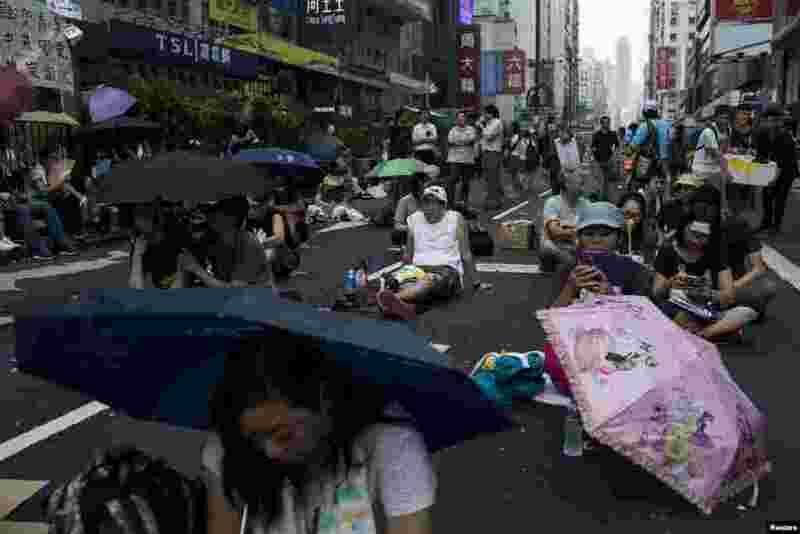 4 Protesters sit under umbrellas on the main street to the financial Central district outside the government headquarters in Hong Kong, Sept. 30, 2014. 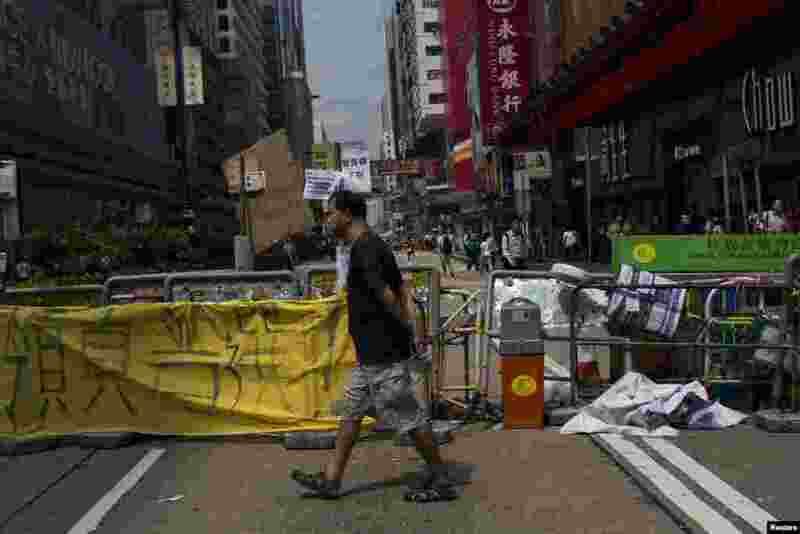 5 A man walks past a road block setup by protesters at a main street at Mongkok shopping district in Hong Kong, Sept. 30, 2014. 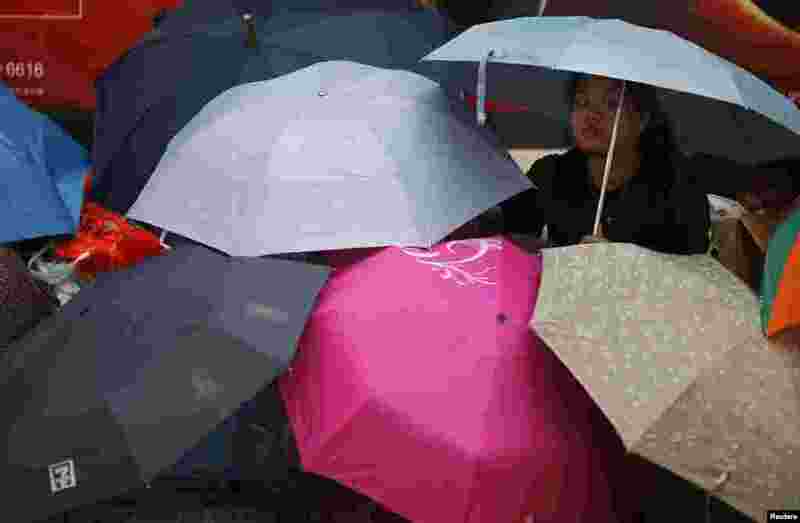 6 People sit under umbrellas as they attend a rally along a main street at Mongkok shopping district in Hong Kong, Sept. 30, 2014. 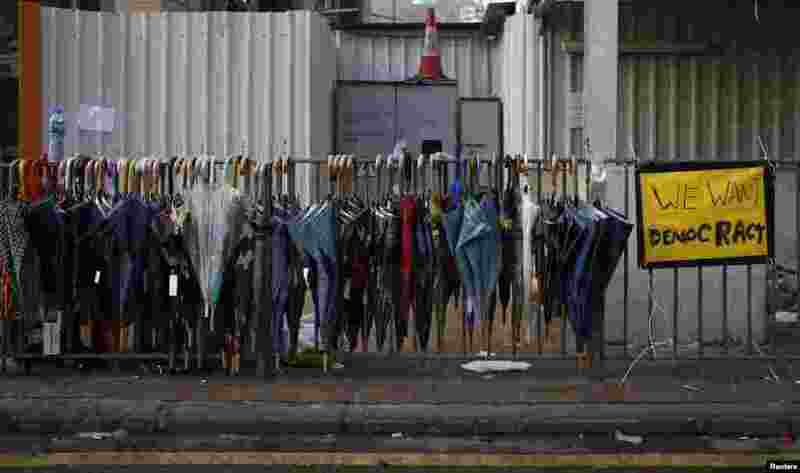 7 Umbrellas used by protesters hang at a site near the main road leading to the financial Central district in Hong Kong, Sept. 30, 2014. 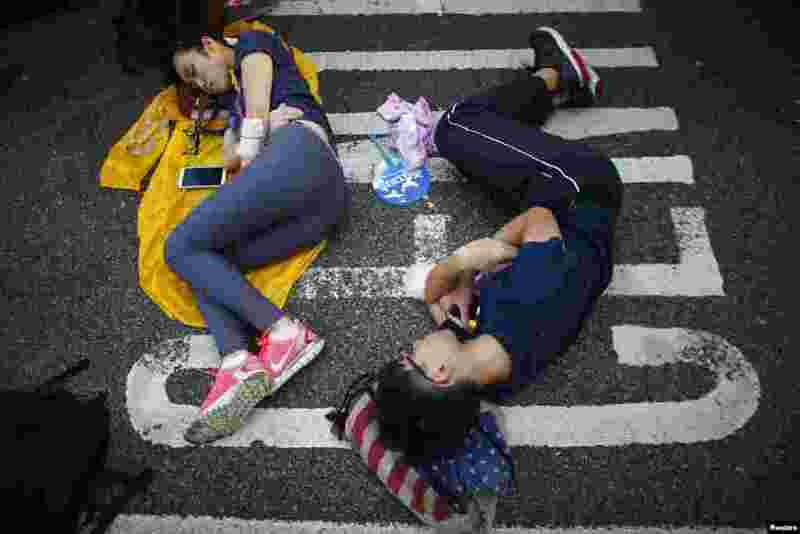 8 Protesters sleep on the street outside the government headquarters in Hong Kong, Sept. 30, 2014.